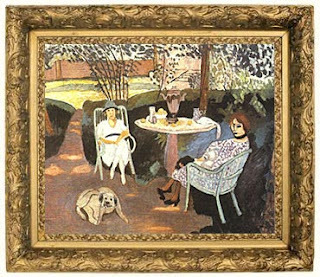 Tea for three is a painting by Henri Matisse (December 31, 1869 – November 3, 1954). He was a French painter, sculptor and lithographer. This painting is now kept in the Hermitage in Sankt Peterburg, Russia.